Ronald started his diving career on the Big Island in Hawaii after referral training with National Diving Center. His brother was on a family vacation and suggested that he should fulfill his childhood dream of scuba diving. By day two he was hooked and ended up diving every day of his Big Island vacation. Almost immediately upon returning to Silver Spring, Maryland; he started his Advanced Open Water and Enriched Air Specialty, his diving career progressed steadily to professional status in 2012. He joined Yovani in opening Surface Interval Corp dba National Diving Center in 2018, it’s been an amazing journey! Specialties: Digital Photography, Drysuit, Wreck, and Deep diver are among some of the many dives I can teach, but the ones I love teaching! 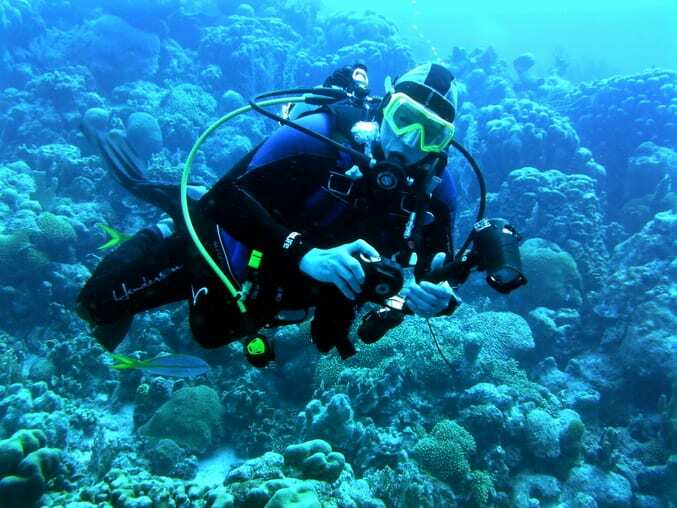 Favorite Dive Sites and/or Types of Diving: The Egyptian Coral diving in the Red Sea, Bonaire Shore Diving are some of my favorite places to dive.